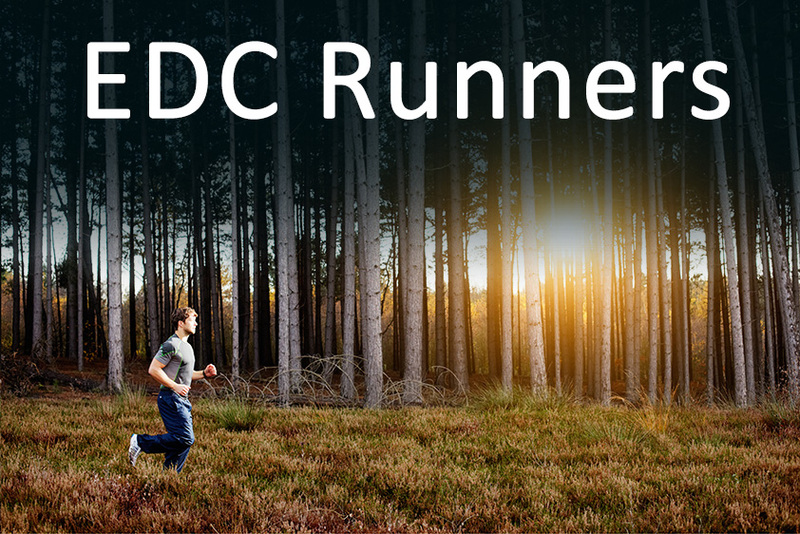 Home>Posts>EDC Runners took part in the biggest Polish running competitions! EDC Runners took part in the biggest Polish running competitions! The passion for running has been present at EDC for a long time. Employees from all businesses, alone or together, represent our center in Polish and international runs. In the past few months we have witnessed an overwhelming variety of sports events dedicated to the discipline of running. In June 2015 our engineers participated in three events – “Bieg Rzeźniczka 2015”, “Puchar Maratonu” and “Grand Prix Warszawy”. “Bieg Rzeźniczka” is a hike which starts in the Solinka village and involves running through the Bieszczady mountains. About 700 people attended this year’s edition, including engineers from our company. Participants had to cover a distance of 27 km, including a 1000-metre ascent. “The fight against the high temperatures and difficult distance began at about 9:15. The unique vibes in the air allowed me to tune out of demands of a long, demanding route and the pain accompanying the challenge. What I will remember best from “Bieg Rzeźniczka” are cramps, murderous chase over the last 9 km and amazing fans who were cheering at the finish line. It was a great opportunity to test myself and feel the unique atmosphere.” – said Damian, EDC engineer. In June, yet another edition of “Grand Prix Warszawy” took place, this time in Mokotów. Participants, including some of our engineers, covered the route of 10 km. In June, July and August Piotr, one of EDC Runners, participated four times in “Puchar Maratonu”. He covered distances of 10, 15, 20 and 25 km and beat his personal best three times. “Puchar Maratonu” starts in May with 5 km and later the distance is increased to 10, 15, 20 and 25 km month after month. At the second run you already know your biggest rivals by sight but they become your support during the race – they often set the pace. The results are listed by gender and age, and that allowed me to reach 5th place all in all. Although, I have to say that I was up for 3rd place and I was really close… But the outcome is not important for me! The family atmosphere, racing through the woods, and sharing a common passion with other people are the most significant!” – said Piotr, EDC engineer. The jubilee edition “Bieg Powstania Warszawskiego” was held on July 25th. Before the run, participants were greeted by WW2 veterans, and the start was preceded by joint singing of the national anthem and Rota. On the way there were historical reconstructions, sounds of fighting, rebel music and lit candles. “I participated in “Bieg Powstania Warszawskiego” for the 4th time. It is a great occasion to commemorate heroes of Warsaw and to run around the Old Town. The experience of running in a multi-thousand crowd is incredible. This year I set my personal best in the 10 km run on this demanding track (00:41:56)!” – said Mateusz, EDC engineer. Our engineers couldn’t miss the August edition of “Półmaraton Praski”, where they were faced with a grueling distance of 21.097 km. The right-bank of the Vistula river was flooded with runners. There were 5861 participants. The organizers used the recreational potential of Skaryszewski Park, providing participants with perfect conditions for competition. Meanwhile, EDC Runners are training for two races. The first of them, “37. Maraton Warszawski”, will be held on September 27th. During this event our company will be attempting to get “Biegowy Gepard” in the category “Firma Przyjazna Bieganiu”. The second challenge, taking place on October 11th 2015, is “Drugi Bieg Instytutu Lotnictwa”. GE and ILOT employees and other running enthusiasts from outside of our organization will participate in this race. Runners will have to cover a distance of 5 km. We wish them good luck and we can’t wait for the results!